Home›Featured›What’s going on with our people? When it comes to executing projects, it often seems like there are as many methodologies are there are managers. One area that is often inconsistent is the focus on collecting, interpreting and acting on data. This applies to data of all kinds; plans, dates, progress, issues, and details of work being done. The most common approach involves mostly subjective decision making, while a smaller but growing number of companies recognize the efficiencies that can be gained from a more disciplined, data-focused approach. Here is an example of that journey at my company's IT highlighting dramatic but achievable results. In most organizations, it’s very difficult to get a grip on exactly what everyone is doing. Individuals know what their working on, project managers know what they’ve assigned to their people, and resource managers are certain they’ve communicated to their people exactly what they should be doing. Of course, everyone knows exactly how many people are in their company. Why aren’t all of these in harmony? 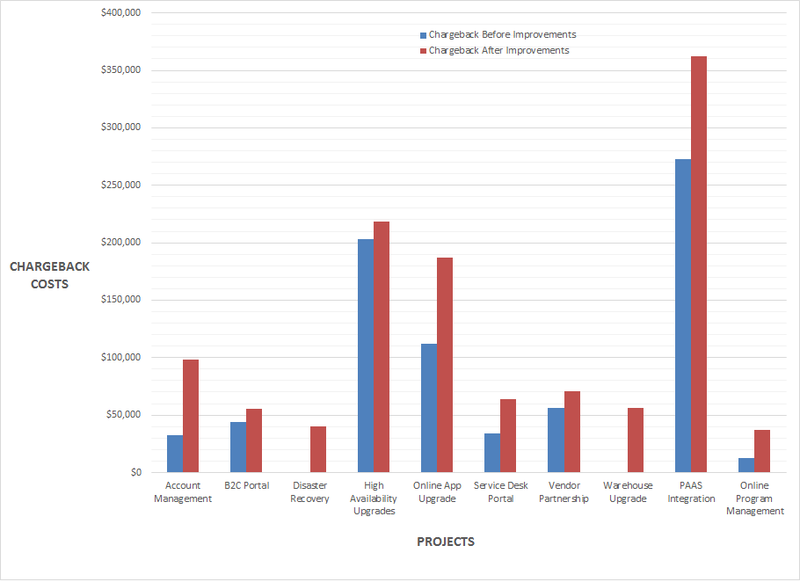 The charts below show before and after we went through refining our project information processes. Since the scales are the same, these show the substantial improvements and efficiency we created. The Current Date bar shows that time sheets are only entered in the past. Plans and commitments show both in the past and the future. 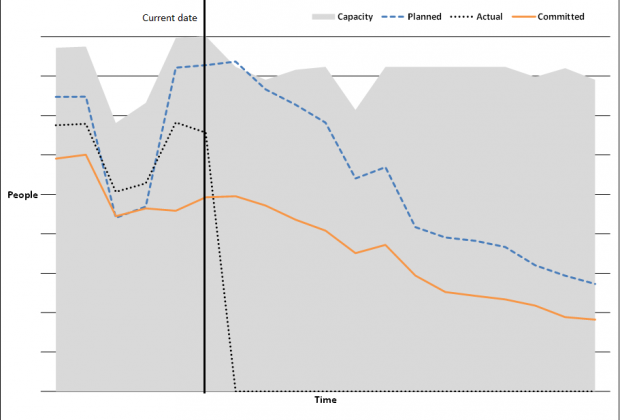 Rolling wave planning is in use, so future planned and committed time show well within capacity – which could falsely give the impression that things will get better soon. If projects timelines change, the divergence of planned/committed to capacity will continue to move forward unless changes are made. The 2nd chart shows what can happen when all of these are better aligned. Project resources are committed by resource managers based upon agreed project plans and the capacity of the managers’ group. Time entries reflect that resources are working as committed, although there are still compliance issues. Longer term plans are more realistic, although there is still room for improvement in this area as well. When project managers and resource managers understand the work that needs to be done and are realistic about who can do the work and when, project execution is greatly enhanced. Data must be collected about plans, commitments and actual time spent in order to understand the problems and make appropriate changes. Next, broader use and acceptance of tools - such as Microsoft Project Server - allow better and more accurate reporting of what is happening with resources in a large enterprise. Finally, a lot of thought and planning must go into how to interpret and present the data.